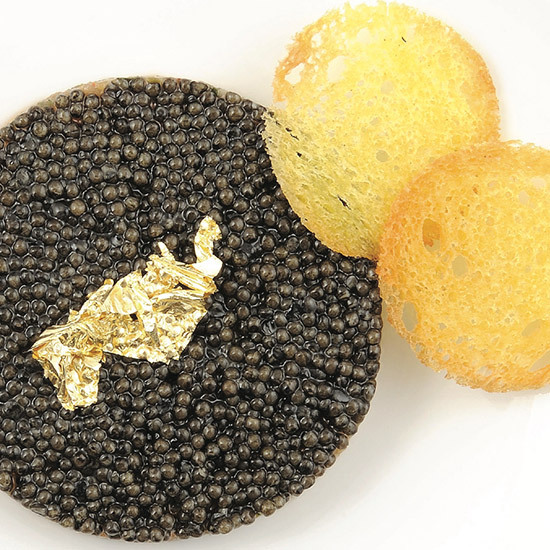 Here’s a great reason to fly to Paris: so you can fly back on Air France out of Charles de Gaulle and get some caviar from master French chef Joël Robuchon. Through November, passengers flying out of CDG in Air France’s La Première suite will feast on food from Robuchon, including a starter of caviar–topped salmon tartare, chicken with foie gras, fried scallops with fregola risotto, and duck confit with truffles and mashed potato gratin. After a rich meal like that, passengers will probably want a nap. Luckily, the suite comes outfitted with a bed that fully flattens out and a cozy duvet.